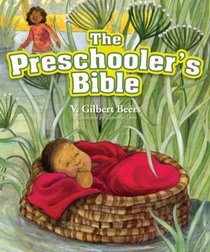 The classic, best-selling The Preschooler’s Bible offers the ideal follow-up to The Toddler’s Bible. Over 100 stories include classics, such as the flood, and less-often told stories, such as Solomon’s request for wisdom. With thoughtful questions and captivating writing, this book suits story time, bedtime, or family devotions. And vibrant new illustrations by Tammy Lyon add even more opportunity for Bible discovery. More than a Bible story book, The Preschooler’s Bible offers parents and Church workers a resource that takes little hearts beyond just hearing the Bible’s stories to learning to discover God’s truths for themselves. DR. V. GILBERT BEERS is a respected author and professional in the publishing industry. He has written more than 100 books for children, more than a dozen of which have appeared on best-seller lists. Gil is the father of five and the grandfather of eleven. He lives in Elgin, Illinois.